In Kraft Bears I talk about getting the project to pair up teddy bears with electronics and lights so they can communicate with each other. Problem is, the story of how the bears work won’t interest everyone. For those of you that are interested, here you go. I needed to prove that the concept of “hugging a bear to light up a different bear” was viable before they’d proceed with the large quantities of bears so I undertook the prototype first. The first debate we had involved what type of board to use. They were undecided between wifi or cellular. 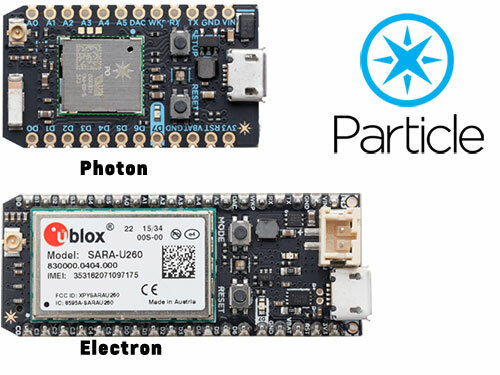 I opted to go with Particle primarily due to their having a board of each type; Photon and Electron. Also they have a cloud-based infrastructure that all of their boards can connect to and can be updated from. pro fast. response time between boards was less than a second each time. Reaction time was gratifying. pro would work right out of the box. The end recipient would only need to turn on the bear and it would connect on its own. con slow. response time was averaging between 5 and 20 seconds. con the SIM cards for each board have an operating cost in the form of a monthly fee. con longer. would need a larger box to accommodate this board. 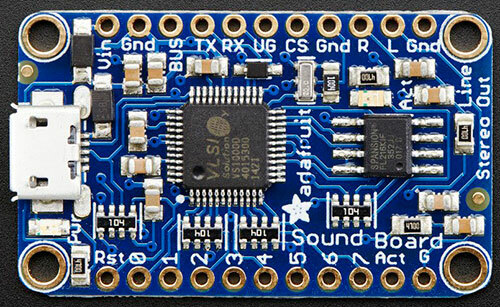 The easiest solution was this sound board from Adafruit. It’s a stand-alone board and I have made a how-to video on using this board. 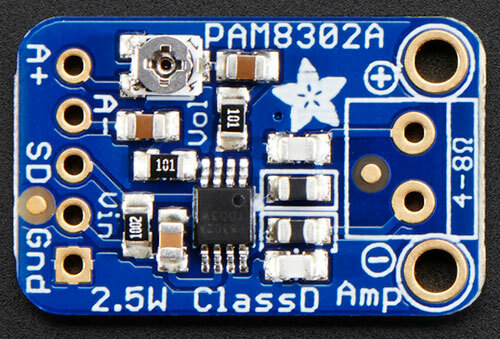 As you can see in the video, I use this compact amp by Adafruit to provide the boost the speaker needed to make its way through the stuffing of the bear. I sourced a 0.5” speaker for this project from Digikey. The last thing I needed was an RGB LED to light up the bowtie. My first inclination was a NeoPixel as I have extensive experience with them. But I need the LED to light up a full bowtie. The solution was a 5mm through-hole LED with integrated NeoPixel chip. They work exactly like a NeoPixel but diffuse differently, being in the standard LED bell. Those are the main components in a nutshell. Next up I’ll talk about the back-end plan.